You have probably seen Google’s disambiguation box on the right hand side of the search results, which is meant to help searchers drill down which version of a word they mean. The most common example of this is Apple the fruit versus Apple the company. But Google has now brought their disambiguation selection option right to their drop down search box where we often see Google suggesting search queries. 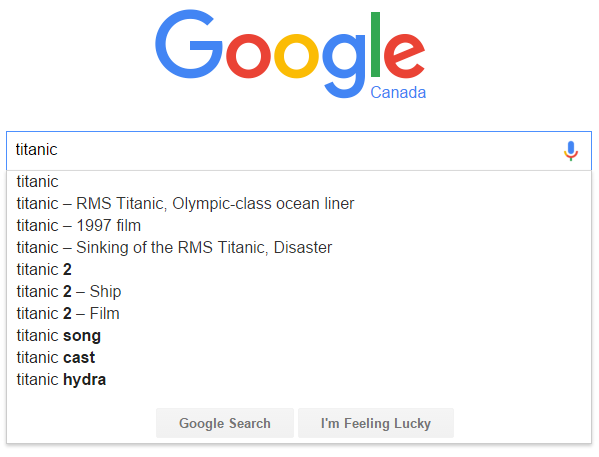 This has 5 different disambiguation choices – the ship, the 1997 movie, the disaster itself, and then some Titanic 2 options, for both the ship and the movie. It also shows disambiguation based on the query that has been typed as well as possible choices for autosuggest on keywords that are not fully typed. For example, this example for “trump” shows disambiguation for both Trump as well as trumpet. 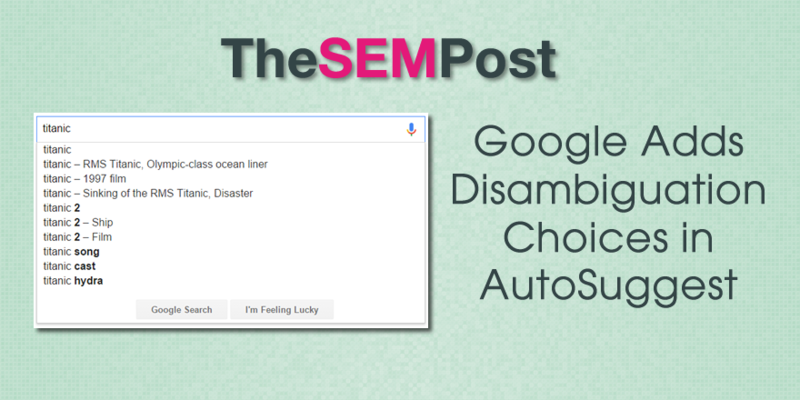 This is a great addition to autosuggest search, which means users will have immediate results based on which disambiguation they meant, rather than having to select from the box on the right of the search results, especially for those who might be looking for the option that isn’t the most popular one. It also gives more options than what we see on the page. For example, for the search on Titanic, we see a knowledge panel for Titanic the ship, with a disambiguation box to see results for Titanic the movie. Ross Hudgens was the first to notice it, via Caroline Gilbert. 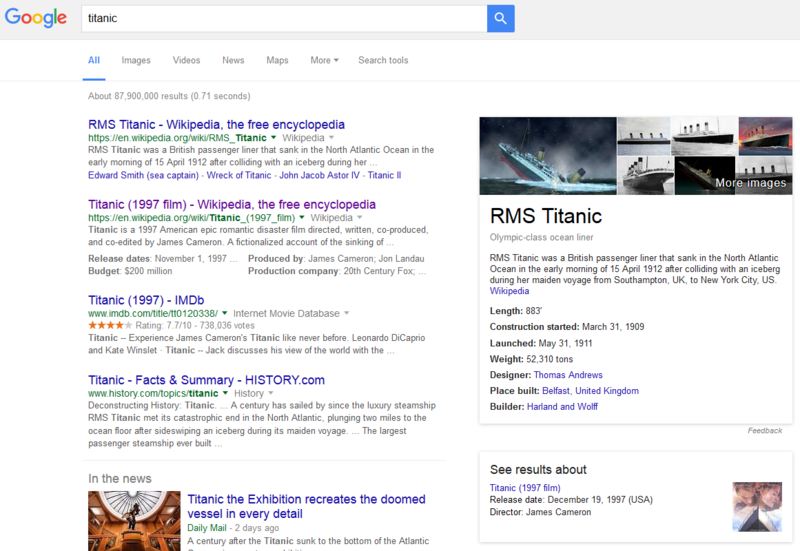 Dan Shure spotted the great Titanic example above.